Groundhog Day is a popular tradition celebrated in Canada and the United States. It derives from the Pennsylvania Dutch superstition that if a groundhog emerging from its burrow on this day sees a shadow due to clear weather, it will retreat to its den and winter will persist for six more weeks, and if it does not see its shadow because of cloudiness, spring will arrive early. While the tradition remains popular in modern times, studies have found no consistent correlation between a groundhog seeing its shadow or not and the subsequent arrival time of spring-like weather. 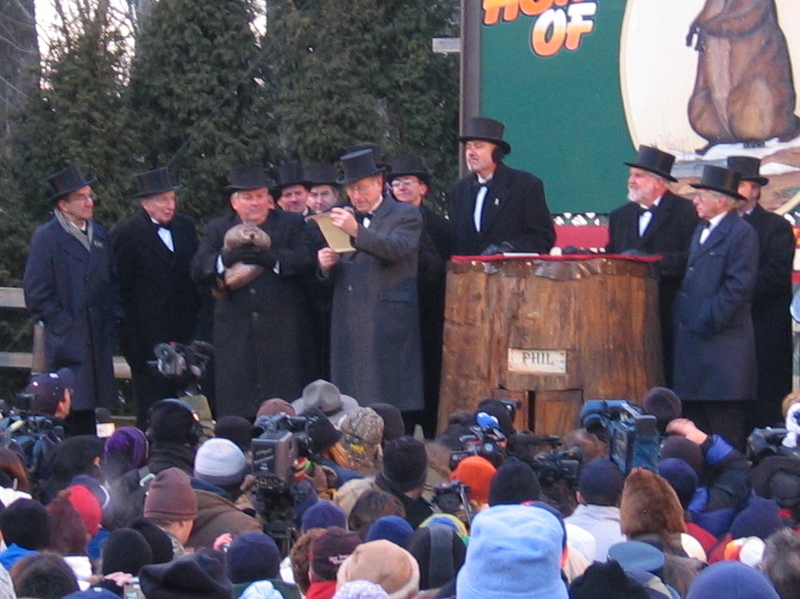 The largest Groundhog Day celebration is held in Punxsutawney, Pennsylvania, where crowds as large as 40,000 gather each year. Canada has some popular groundhog's as well including Wiarton Willie of Wiarton, Ontario, and Shubenacadie Sam in Nova Scotia.